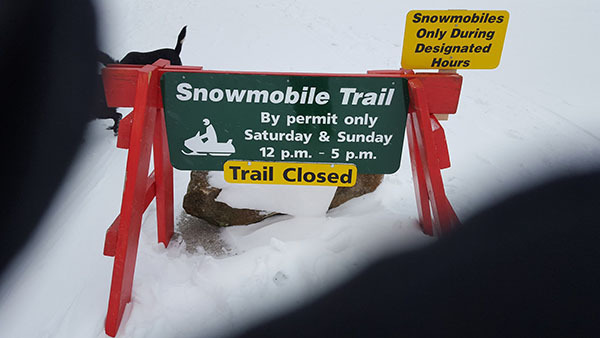 True to form, the statement by John Oros at the January 12 Parks Board meeting that snowmobiles would be permitted to use a trail at Observatory Park on a trial basis beginning in February turns out to be false. Today at Observatory Park, barricades were found to be blocking access to trails. The barricades carried signs that announced that the trails were reserved for snowmobiles only. Clearly, preparations for this must have been in progress some time before the meeting on January 12 in order to have signs made and put in place by today. Which park will be the next one for snowmobiles?